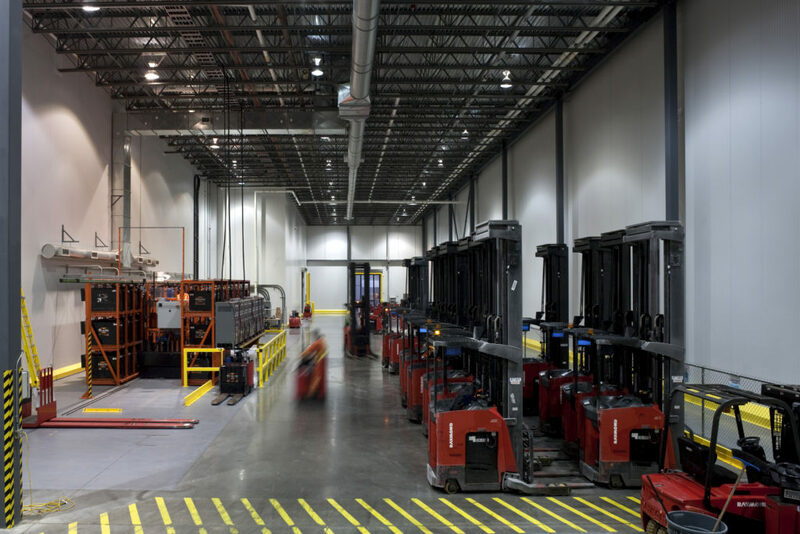 With special considerations focused on how this facility integrates into its context and existing community, this specialized distribution centre achieved the goals of the client and the municipality. 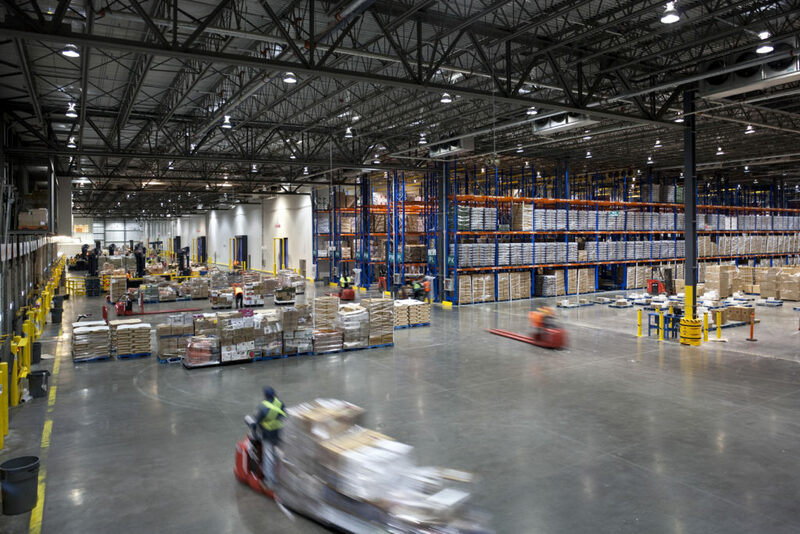 Located in British Columbia, on Canada’s west coast, within Surrey’s Campbell Heights Business Park, this 410,000 sf Perishable Distribution Centre was commissioned by Loblaw Companies Limited to meet the needs of a growing region. Designed to achieve local development design guidelines, with special attention to its fit within the evolving character of the neighbourhood, great care was taken to assure that the scale of the site fit within urban and contextual mandates. The innovative street façade and selection of exterior finishing materials resulted in a high quality identity to the fit in with the public realm. The variation and distribution of façade elements and building massing differentiate the major functional parts of the building while reducing the overall scale of the facility. With complex systems, and multi-temperature requirements, this cross dock distribution facility has been designed to LEED Silver standards.